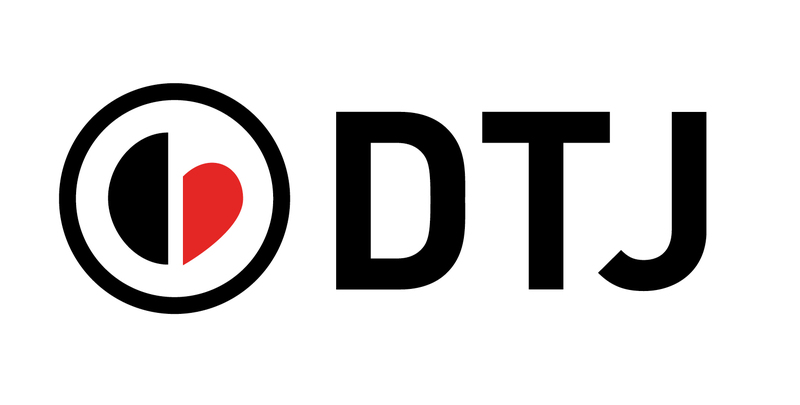 We are here to answer all of your questions about DTJ, our work and how you can help. If you don’t see an answer to your question below, fill out a contact form and we will get back to you shortly. How does Mobile Cinema create social change? Though film is our primary medium, our work is best understood as a triad of three spheres that reinforce one another and together form a powerful catalyst for social change: 1) Change happens during the participatory process of creating localized films in and with communities; 2) Change occurs when the films are screened in communities in conjunction with in-depth workshops facilitated by DTJ and our local partners; 3) Change is sustained when community members then become the drivers of that change. We have found that together these spheres synthesize into social change that lasts, even when change requires transforming something as powerful as social norms – from exclusion to inclusion, from revenge to forgiveness. Film is catalytic. The Mobile Cinema program’s process interrupts harmful ideologies and behaviors and opens up new, safe and neutral areas for interaction and dialogue; these areas further deconstruct harmful ideologies and allow space for the creation of new ways to interact with one’s community and world. Story is the oldest form of human learning. Through story we learn about our world and ourselves in profound and life changing ways. We also learn about those who are different – their beliefs, their hopes and their fears. Nothing expands our capacity for empathy like stories. Stories can also reverse harmful ideologies and engender social cohesion, solidarity and hope. Though a relatively new invention, film has proven to be one of the most powerful mediums for telling stories. While lack of access to this medium often precludes communities we work with from its benefits, DTJ has found that film builds on the strong narrative traditions already prevalent. DTJ tells stories with communities in war, about communities in war, for communities in war. When this circular story-telling approach is coupled with the medium of film, the communities we work with are equipped to address their own issues within their own communities. Our localized films compellingly and clearly expose an issue present in a community, create lines of self-identification and create safe spaces for new ideas to form. When self-understanding is combined with new ideas, new, positive behaviors become possible. The hypothesis that localized film can facilitate significant and beneficial social change led to the first Mobile Cinema pilot project in 2012. The results were incredibly confirming. Psychological distress decreased and stigma was significantly reduced. Community members talked about the characters as well as the lessons learned from the films for months afterwards. Our metrics of impact – including both qualitative and quantitative data – suggest that film is a tool that has been and will continue to be crucial for creating social change and protecting and healing children affected by war. What kind of impact can localized film have? Here are just a few things we have seen our Mobile Cinema projects do: enhance empathy; draw connections across racial and ethnic divisions; allow space for self-identification to occur; break down barriers between people; create safe spaces for conflict transformation to occur; enable people to engage with the most important issues in their communities in a new way; foster hope, a sense of possibility and cohesion. Do you rely on a theory of change to prove your impact? Theories don’t prove impact; theories guide methods of action and intervention and allow one to recognize results. We have chosen the method of creating localized films because of both theory and the results we have seen come from its use. We believe in a simple five-step process of change: 1) Self-identification (with the story and characters), 2) Cognitive Encountering (through the positive modeling in the film), 3) Space (permission to re-consider previously held ideas), 4) Cognitive Reframing (previously held ideas collide with the realities experienced through the film – step 2 – creating disruption and even rupture – cognitive dissonance), 5) New Ideas (through workshops and dialogue) manifested in, 6) Positive New Behaviors. When children realize what a child abducted by the LRA has experienced, they can choose to accept him or her, proven by including him or her in play and school activities, rather than isolate him or her. We have witnessed children and communities choose empathy and love rather than stigmatization and fear, and have seen entire communities be transformed through this process, which confirms our theory is on target. Localized means we collaborate with local experts on the ground in or near our location sites as partners in the development of the story and in the production process. We come as learners to listen, not as experts to direct. The stories we tell are the culmination of our research and the synthesis of the perspectives of community members. The primary audiences for our Mobile Cinema films are communities affected by war. We have coined the term “localized film” to define our new form of media. How do you ensure watching these films doesn’t harm anyone? All of our films go through a rigorous three-step vetting process before they are screened publicly. First, a local mental health expert evaluates the films. Second, a community advisory board screens them. All feedback is considered and suggested changes are incorporated before, third, the films are screened to a focus group to gauge cultural relevancy and comprehension. Relevant changes are made. Only after having gone through this rigorous process are films screened publicly in communities affected by war. In addition, our local partners who run the screenings are trained lay mental health providers equipped to both respond to a situation of need and provide referrals for more acute care if needed. Protecting children is our first and highest priority. Thus, all necessary precautions are taken to ensure that our media does not cause any harm. Do you make films for other organizations? When our missions have naturally overlapped and a partnership has provided a mutually beneficial way to achieve our aim of protecting children in war, DTJ has made Mobile Cinema films for other organizations. DTJ is open to exploring the many potential adaptations of this concept to other important issues. If you represent an organization interested in partnering with us to make localized media to serve the communities you work with, please contact us. Who are your local partners? Our local partners are community-based, nationally run, non-profit organizations in central Africa. Our longest partnership is with an organization in Dungu, DRC called Solidarity and Integral Assistance to Destitute People (SAIPED). How do you measure the impact of your programs? DTJ undertakes extensive monitoring and evaluation in order to verify the impact of our programs. For the first Mobile Cinema program we measured impact by a reduction in psychological distress, trauma and stigma among those who participated. Qualitative and quantitative data were gathered. To date, our first Mobile Cinema program has reached over 3,000 children. During the pilot study – a randomized control trial to measure effectiveness – we found a statistically significant reduction in psychological distress for the children who went through our program. After being trained and expanding the program on their own, SAIPED measured a drop in psychological distress of 50% amongst participants. For our second Mobile Cinema program we are looking for reductions in psychological distress, an enhanced understanding of how to respond to an LRA combatant if they surrender, and a willingness to peacefully receive those who escape from the LRA. Our metrics will include both qualitative and quantitative data. While this program is currently underway, initial evaluations have been extremely positive. What do you mean community-led? All of our programs are positioned to hand off knowledge and skills to the communities we work with so that they are able to become active agents in overcoming the myriad effects of war that they face on a daily bases. Our local partners work patiently and methodically to build long-term relationships with these communities. We say community-led because our model fails if when our partners and ourselves leave, positive change goes with us. Our research has found that communities desire to be equipped with the skills to address issues such as trauma, stigma and reintegration themselves. Our goal is to make sure this happens and thus all of our work is community based, providing skills and tools directly to community members, in their own communities. Whether that leads to reintegrating formerly abducted children, forgiving LRA combatants or finding new ways of relating after the devastating effects of war and violence, communities themselves are the most important resource for accomplishing their own goals. DTJ firmly believes in interventions that are community based and family focused. So far American filmmakers have directed our Mobile Cinema films. These filmmakers are chosen based on their experience creating localized media, their interest in making films for communities in conflict, their willingness to immerse themselves in an issue and a place in order to create an innovative form of media, their technical expertise and their personal commitment to the issue. From how the stories are chosen to the language used in the screenplay, from how we work with actors and communities to how the finished films are screened, the process is collaborative at every stage. Our filmmakers share their knowledge of the narrative and technical craft of filmmaking with our local partners. We use the best film equipment available today to make films of artistic excellence. Our production team is always very diverse, including both American and national producers, and relies on a team of national professionals who make up the majority of the team. Without them, the films would not be possible. Why do you work with first-time actors? Can you describe that process? We believe in working with first-time actors because it opens up the opportunity for people without experience in film or theatre to be part of this unique program. The change the actors experience through their acting performances is an important part of our model; they become drivers of social change in their communities after walking in the shoes of the characters they play. Actors have told us that acting in a Mobile Cinema film has changed their perspective of war, has allowed them to understand “the enemy” and has given them hope and the ability to turn their pain into a positive force for change. DTJ holds open auditions and chooses actors based primarily on performance ability, comprehension and personal commitment to the objectives of the Mobile Cinema film and intervention. In addition, we choose actors who have been impacted by the conflict in the same way as the characters in the film. This serves a dual purpose. First, it engages the actors in a powerful process of identification and healing. Second, the connection to the characters and the subject matter enhances the performances, allowing for a deeper connection with the audience. Our film crews become large families, united in our collective desire to see communities affected by war brought closer to peace and healing. We prioritize a unified vision behind each team member’s participation. Working with national first-time actors is one of the many important and novel elements of DTJ’s Mobile Cinema programs, all of which contribute to the program’s layered impact. Mobile Cinema dissolves barriers, creates bridges and turns pain into agency for change. How do you protect actors from any negative mental health impact? The well-being of our actors is of the highest priority. Our Producer and Program Director is on site at every shoot in order to prepare the actors for the scene they will be playing, answer any questions that arise, and gauge comfort levels. Given the fact that the content of these films is so delicate, affecting the actors at a very personal level, production proceeds as a delicate dance of conversation, mutual learning and support in which we are constantly striving to ensure that everyone involved is prepared for and comfortable with the content every step of the way. Mobile Cinema films are written in a collaborative setting that includes professional screenwriters, the film director, local community members and DTJ’s Program Director. Written dialogue reflects language from interviews obtained during our research and the framing and representation of the issue is heavily influenced by input from our local partners. Writing for a project begins once we know what issue we want to highlight and what we hope the film will accomplish. For example, our first Mobile Cinema film highlighted the issue of formerly abducted children returning home and we hoped that the film would increase people’s empathy for these children and breakdown the stigma attached to them. Once we have our starting point we work with professional storytellers to write a screenplay that reflects our original intent, is culturally accurate down to setting and dialogue and is an engaging traditional three-act narrative. DTJ’s original research is resourced throughout the entire process to ensure accuracy and a nuanced understanding of the issue. The story-writing process is a collaborative, exhilarating and vital part of every Mobile Cinema film’s creation. How do mobile cinema screenings work? Who runs them? Our Mobile Cinema screenings work like this: one of our local partners goes to a community that has been pre-selected as an implementation site for a full Mobile Cinema intervention; once they have found a suitable location within the community – the largest building in the vicinity – they set up the Mobile Cinema screening using only a blow-up screen, a projector and a generator. And the film begins! Yes we are a registered 501(3) non-profit organization. We are funded by a combination of grants from foundations and other non-profits as well as from individuals like you who believe in our work. Your donations go towards expanding our current Mobile Cinema programs in central Africa to protect communities affected by LRA violence, help children come home, and encourage LRA combatants to surrender. We need help funding our work. Consider donating or reach out to us if you have fundraising ideas or are interested in internship opportunities.